Funded by Southern Exposure’s Alternative Exposure grant program and co-presented by SF Cinematheque, VOLUME and Kadet Kuhne present Electronic Cinema, two evenings of live scores for experimental films. The long-standing practice of early Dadaist and Modernist filmmaking to contemporary practices of experimental film and video has been paralleled by an avant-garde and cutting-edge approach to music composition. The role of technology in developing these divergent art forms has been vital and inseparable from the aesthetic impact and meaning of the works. However integral sound has become to our interpretation of picture, there is still such a wide gap not only between the understanding of the impact sound has on image, but also between sound and visual artists in the performative arts arena and visual art world. 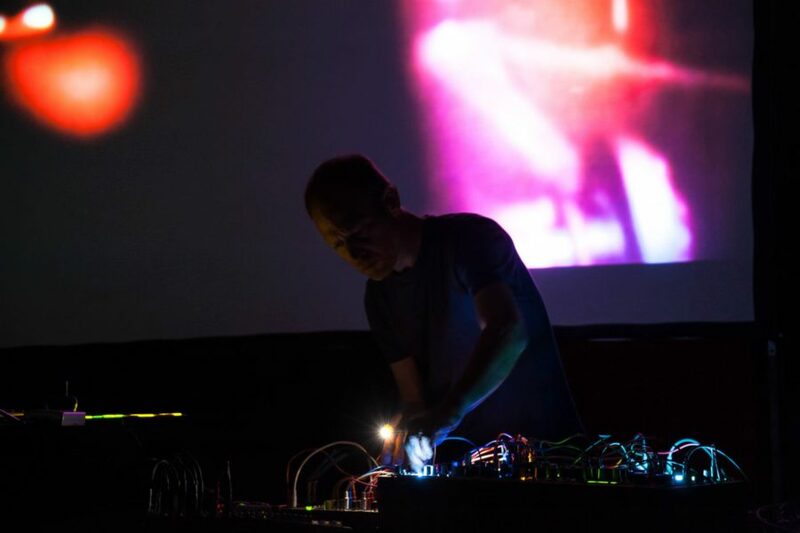 Electronic Cinema seeks to bridge these two arts communities by pairing Bay Area film and video makers with Bay Area electronic sound and music composers, with an emphasis on experimentation in approach, tools and concept. 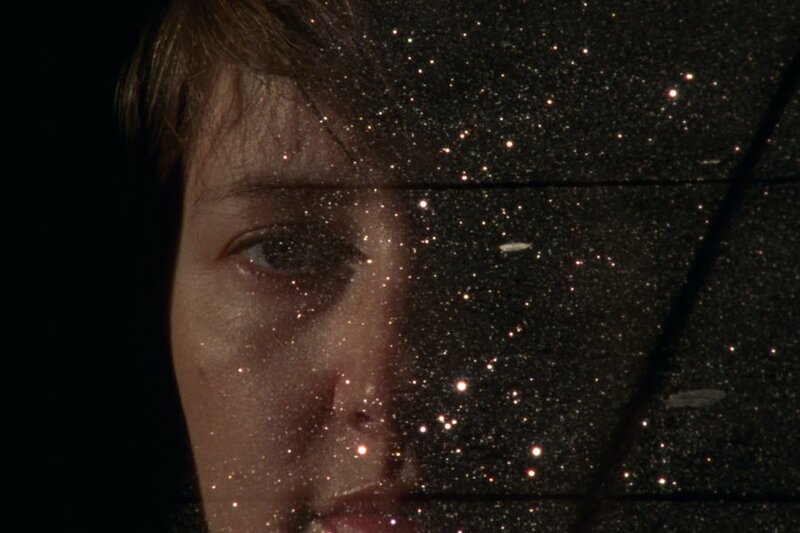 Lissom (Tana Sprague) is a sound and video artist, transfixed with micro details. With focus fluctuating between digital and organic, her work creates a space where one complements the other. Inspired by the elegant complexity of organic forms, she utilizes various electronic and digital devices to synthesize a similar enveloping intricacy. Since 2004, Tana has worked with Recombinant Media Lab, and in January of 2009 she lead the partnership development with Gray Area Foundation for the Arts and RML, and was the Director of Operations at GAFFTA and RML. She has a Bachelor of Arts degree in Interdisciplinary Computing and the Arts at the University of California at San Diego, where she was granted two consecutive research fellowships at the California Institute for Telecommunications and Information Technology. She received a Master of Fine Arts degree in Electronic Music and Recording Media at Mills College. Vanessa Woods graduated with an MFA in film, with honors, from the San Francisco Art Institute. Her artwork and films have been exhibited internationally and have received numerous awards including a Murphy and Cadogan Fellowship for Film from the San Francisco Arts Commission, a Film Arts Foundation Personal Works Grant, and the San Francisco Art Institute’s MFA Film Fellowship. Woods’ films have been broadcast or screened by the Education Channel, the Centre International d’Art (France), The Anthology Film Archives (New York), the Oberhausen Film Festival (Germany) and San Francisco International Film Festival. Woods is currently working on several new films, including feature-length documentary titled Mimita, which follows a family of women raising their adopted child in the Bronx, New York. Elise Baldwin is active in the San Francisco experimental music and electronic art community, Elise Baldwin focuses on solo intermedia performance and collaborative music ventures. Her work demonstrates clear predilections: a fondness for recombinant media and collage techniques, a fascination with human memory and technological forms of communication, and a historic multiplicity with regard to medium. Elise holds a degree in Film and Video production as well as an MFA in Electronic Music from Mills College. She has designed sound and created musical compositions for many theater, dance and film productions. She has performed recently at SF Cinematheque, ResBox, New York Electronic Arts Festival, San Francisco Electronic Music Festival, Edgetone Music Festival, the Brutal Sound FX Festival, E.S.P. Media Lounge, CalArts CEAIT Festival and the National Queer Arts Festival. She has received numerous awards, including Experimental Television Center and CESTA residencies, a Harvestworks Artist in Residency, the Frogs Peak Award for Experimental Music, and a Howard Scripps Award. Anthony Discenza was born in New Jersey and currently lives in Oakland, California. He received his undergraduate degree in Studio Art at Wesleyan University in 1990, and an MFA at the California College of Arts and Crafts in 2000. In addition to various individual projects, he participates in HalfLifers—an ongoing collaboration with longtime friend and fellow video artist, Torsten Z. Burns. 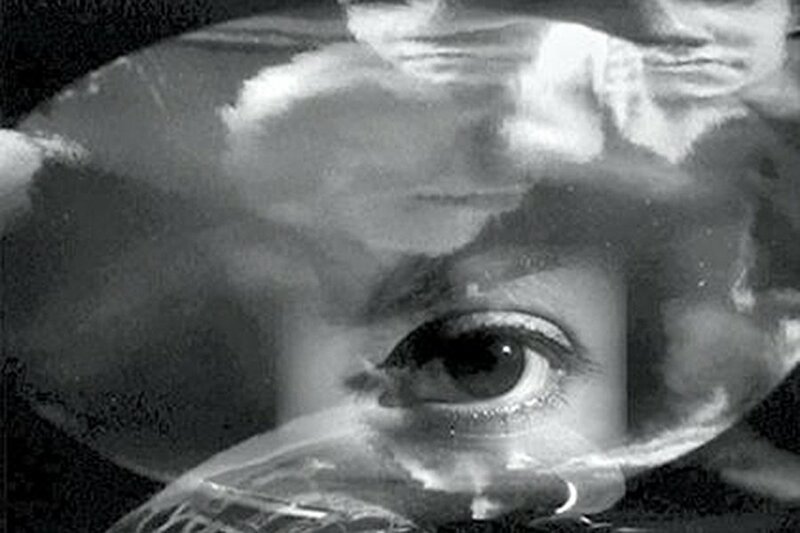 Discenza’s solo and collaborative work has been shown at numerous national and international venues, including The Whitney Museum of American Art, The New York Video Festival, the Pandaemonium Festival, The Pacific Film Archive, The Impakt Festival, The Philadelphia Museum of Art, and the Museum of Modern Art in New York. He was recently included in the 2000 Whitney Biennial. myrmyr is Agnes Szelag & Marielle Jakobsons (aka darwinsbitch) who live in Oakland, California. With the violin and cello as their basis, the duo creates an intimate chamber music atmosphere with an arsenal of electronics and instruments. They merge improvisation and experimental song forms to create works often inspired by their common Baltic heritage. Since 2004, they have performed across the West and East Coasts, and in 2009 released their debut album The Amber Sea on Digitalis Recordings. They are currently in production with their sophomore release, Fire Star, recorded at Shasta Mountain in April 2010. SUE-C. (Sue Slagle) is a visual and performing artist based in Oakland. Her works challenge the norms of photography, video, and technology by blending them all into an organic and improvisational live performance setting. 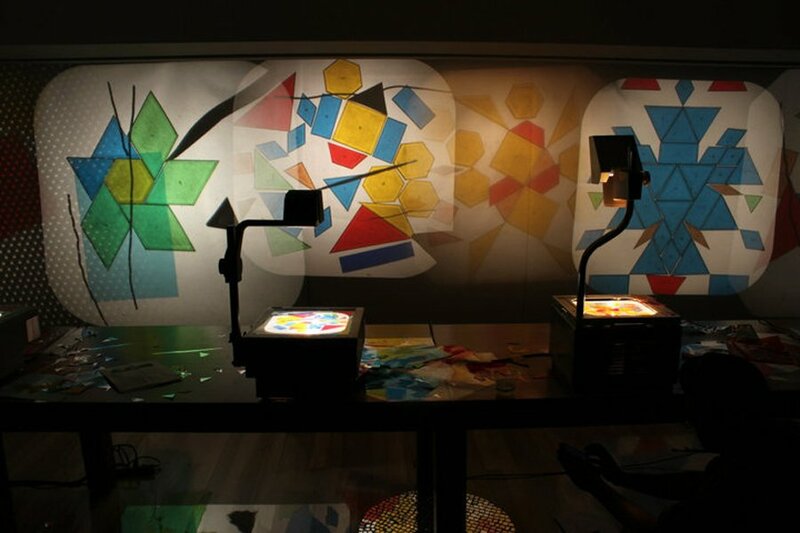 Employing a variety of digital tools to create an experimental animation “instrument,” Slagle synthesizes cinema from photographs, drawings, watercolors, hand-made papers, fabrics and miniature interactive lighting effects. Slagle has collaborated with musicians such as Morton Subotnick, Luc Ferrari, Antye Greie (AGF) and Joshua Kit Clayton at a variety of international venues including the San Francisco International Film Festival, REDCAT (Los Angeles), Ars Electronica (Linz), MUTEK (Montreal), SONAR (Barcelona), MonkeyTown (NYC), and Activating the Medium (San Francisco). Her solo performances combine live imagery with a live soundtrack using her own voice, small sound effects devices and assorted electronic instruments. She currently teaches “Math & Media” at the California College of Arts (CCA) in Oakland. Kadet Kuhne is a media artist whose work spans the audiovisual spectrum. With the goal of forming somatic experiences which can prompt visceral responses to sound and movement, Kadet openly exposes the use of technology in her practice by employing fragmented, jump-cut edits and amplifying evidence of sonic detritus. This glitch aesthetic, contrasted with layered ambient reflection, is intended to heighten tensions between motion and stasis: a balanced yet heightened “nervous system” to reflect our own. Trained in jazz guitar in her youth, Kadet became attached to the instinctive nature of improvisation which led her to the California Institute of the Arts where she studied Composition and Integrated Media. As an award-winning filmmaker she has numerous shorts that have screened worldwide including Infinite Delay, which premiered at the Sundance Film Festival. Her installations involve a combination of motion sensors, customized software and online virtual exploring themes of communication and control. Kadet’s compositions twist signal processing, FM synthesis and neurological impulses into experimental electronic ambiences that make your cilia vibrate in curious patterns. Select exhibitions and performances include the Museum of Art Lucerne, LACMA, Musees de Strasbourg, Yerba Buena Center for the Arts, REDCAT, Museum of Contemporary Art-LA, Not Still Art Festival, San Francisco Arts Commission Gallery, The LAB, Highways Performance Gallery and the New York Underground Film Festival. Paul Clipson has shown his films internationally in various galleries, festivals and performance venues in Spain, Germany, The Netherlands, Italy, Switzerland, Japan and Russia, as well as throughout the U.S. He works primarily in film, video and paper, often collaborating on live performances and installations with sound artists and musicians. 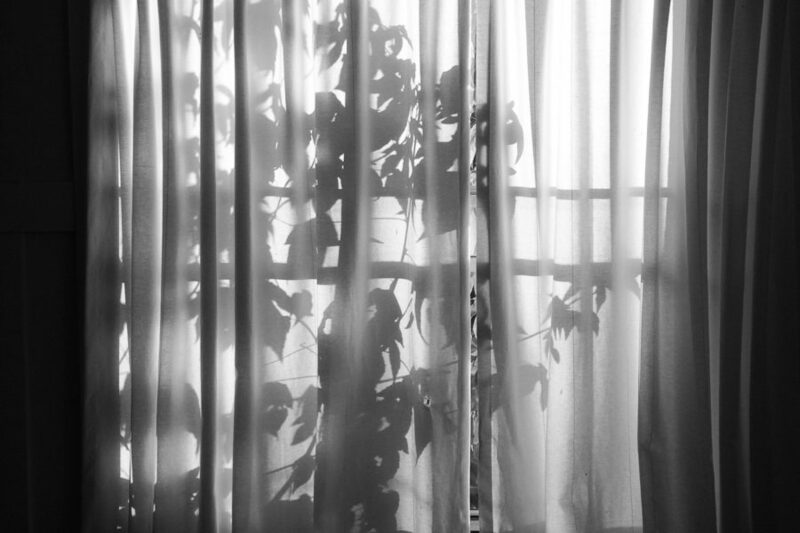 Since 2003, Clipson has collaborated with sound/music artists such as Tarentel, Jefre Cantu-Ledesma, Joshua Churchill, Brendan Murray, Robert Rich, Jim Haynes, Rosy Parlane, Marielle Jakobsons and Metal Rouge. His work has been featured in the Tanned Tin Festival, San Francisco Exploratorium, DWARS Festival, San Francisco International Film Festival, San Francisco Art Institute, Bay Area Now 5, the Edinburgh Film Festival, New York Film Festival and the Rotterdam International Film Festival. Clipson attended the University of Michigan, studying film, painting and drawing. 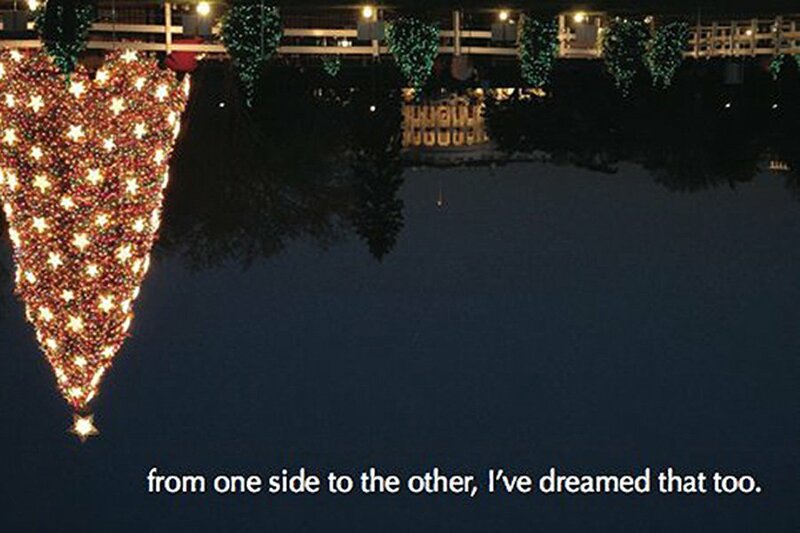 Maia Cybelle Carpenter is an artist and curator, who has built a body of research and art work around theoretical problems. In addition, she has mobilized a community of artists to wrestle with similar considerations in their creative process. Through explorations of the material specificity of film and video, which produces new dialogues with philosophical and current cultural approaches to visual form. Taking identity politics beyond overt polemics, her work engages its audience in multi-layered examinations of identity through spatial experiences. Maia positions her work against the narrative expectations of moving-image media. She received her MFA in 2001 from the School of the Art Institute of Chicago in Film/Video/NewMedia and her BA in 1997 from Barnard College, Columbia University in Women’s Studies and Film Studies.